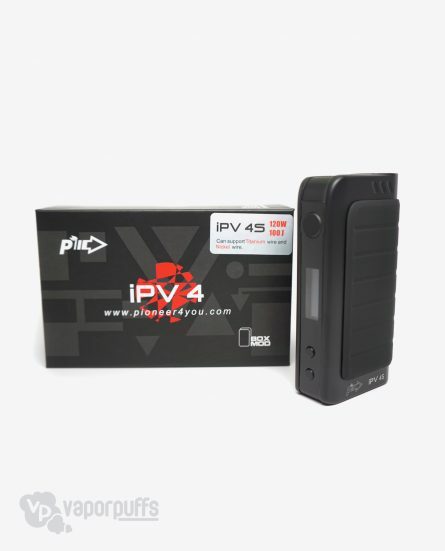 The IPV 4S has been completely upgraded and modified to be one of the most powerful vaporizers on the market. With a complete structural upgrade, magnetic battery cover and temperature control with an LED interface screen the IPV 4S is the best vaporizer for advanced vapers looking to step up their game. Purchase this item now and earn 330 Puff Points! Pioneer4you introduces the IVP 4S, a brand new and upgraded version of the IPV4. The IPV 4S has been upgraded to be compatible with nickel and titanium wire for a more flexible vaping experience. The structure and body make-up of the IPV 4S has been completely remodeled and redesigned to accommodate those of you who vape that want something a bit more portable and easier to carry around. The IPV 4S has been made slimmer, sleeker and is less bulky with rounded tips and a new rubber grip for your comfort. To make battery access easier, all you have to do is remove the rubber grip on the IPV 4S to access the magnetic battery cover. 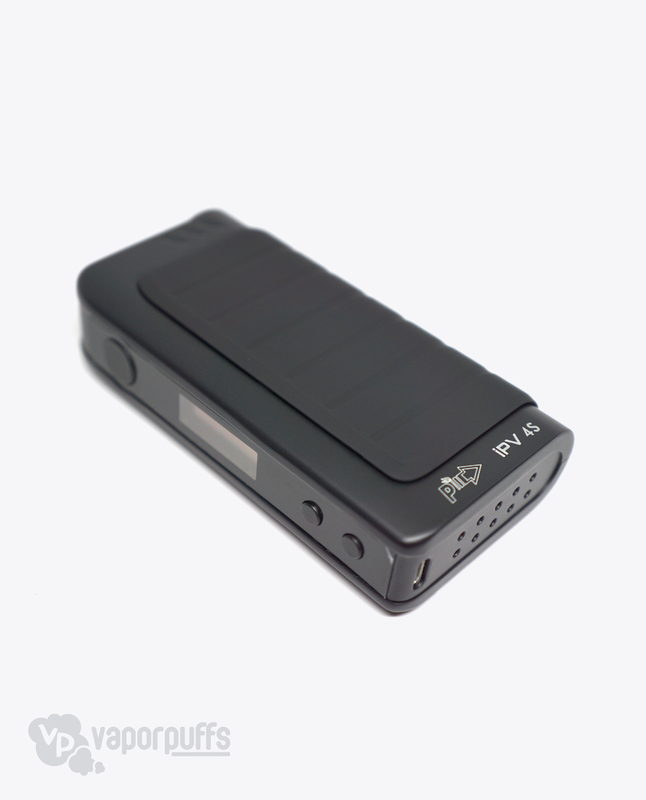 The IPV 4S is compatible with two 18650 batteries which will allow more power and less charging time. Another upgrade with the IPV 4S is the ability to be charged without having to take the batteries out, there is a USB charger that can be used instead of a wall charger. With all of the upgrades and options for power, the IPV 4S is the best box mod for you advanced vapers looking to add to your collection or just looking for a new mod. 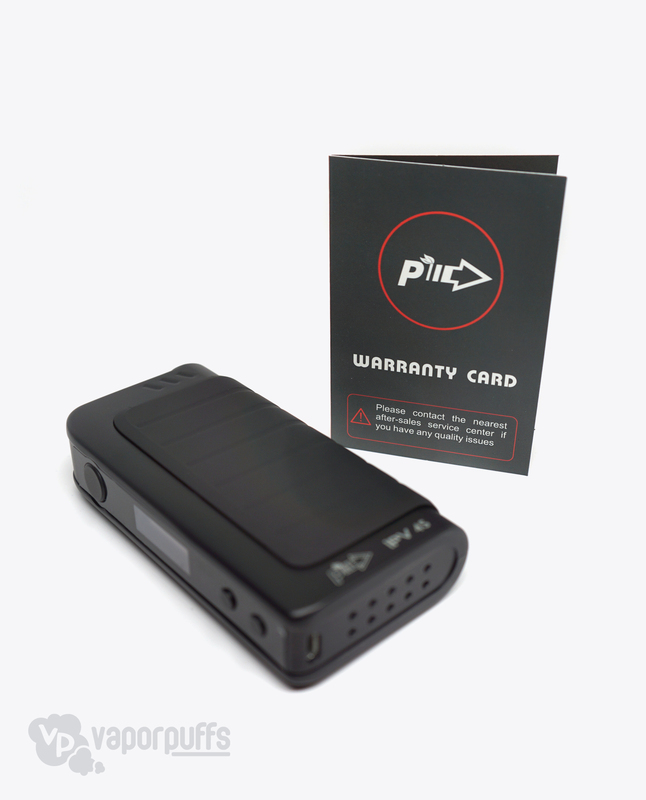 And just in case our technical support can’t fix your issue, the IPV 4S Box Mod by Pioneer4you you purchase on Vapor Puffs is covered by a 6-month limited warranty. The warranty covers all manufacturer defects and all warranty replacements go through us. No need to search for manufacturer phone numbers and jump through hoops… Let us do all the work for you! I’ve had this mod for roughly 3 weeks and it’s treated me very well.